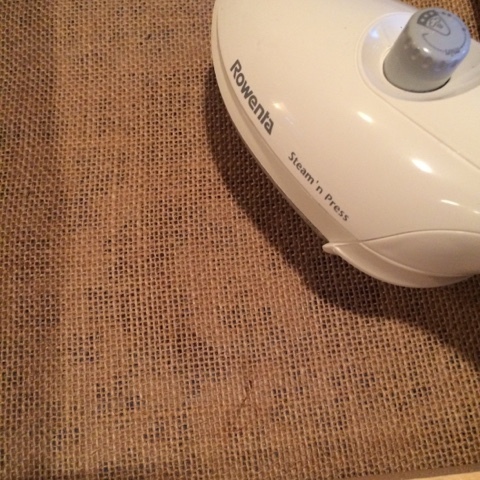 Several months back I bought this burlap square at Walmart. I had an idea of how I wanted to use it, but then I changed my mind... I do that often. As the girls and I were pulling out a few fall decorations this past weekend as we were cleaning up, I decided what I wanted to do. I'll mark it with a B, for our last name! I got on the computer and searched for a font that I liked. 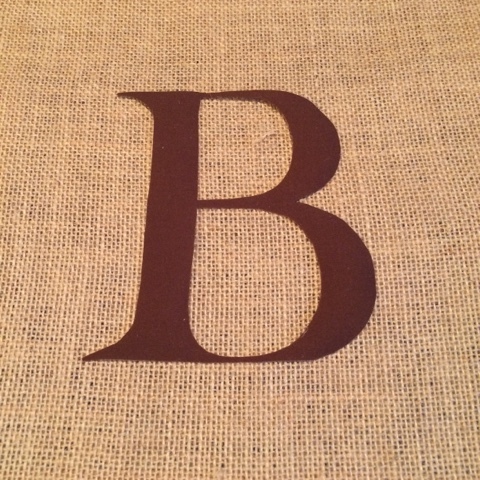 I believe I ended up using Baskervilles for this (I'm a huge Sherlock fan, so the name drew me in, but the font was perfect for what I was going for, a classy, strong letter) I printed the B off on some card stock so it would hold up when I pinned it to the fabric to cut around. 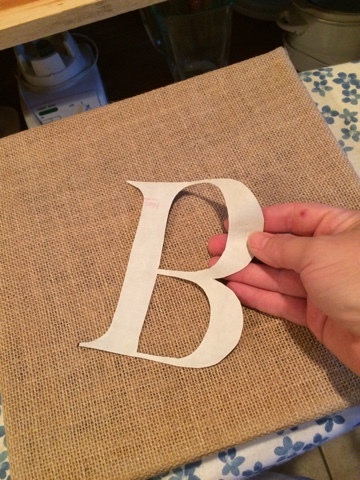 I found some plain brown fabric, I wanted the letter to be bold, so I felt solid would do it best. 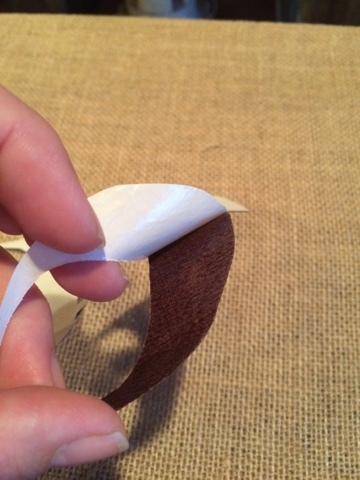 Then, I cut a small rectangle shape of fusible web. It's super simple to use. 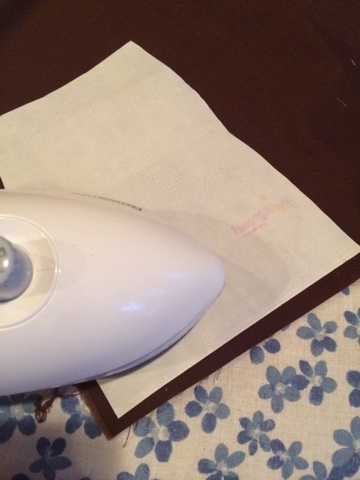 All you have to do is put the shiny side to the wrong side of your fabric, iron gently until it adheres. 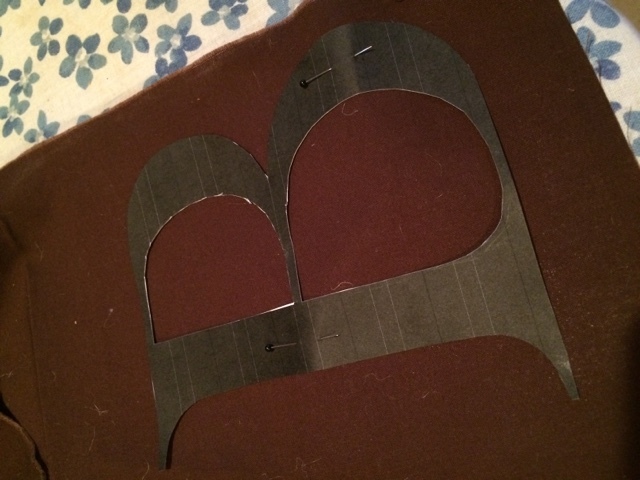 I laid my "B" on the fabric with the right side of the fabric towards me, and the fusible web side of my fabric towards the back, and I cut out my B. (The picture below shows the wrong side, it is the side with the webbing. Place the letter wherever you like. 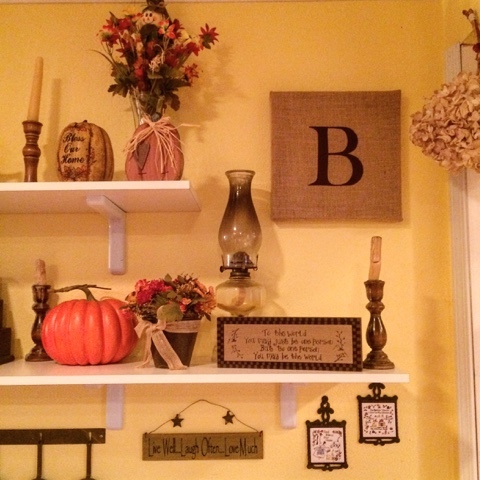 I used Burlap for this project, but you could do this on some other type of fabric. Iron in place. I couldn't press very hard on this side because the burlap is stapled onto a frame. So once I ironed the front side, I flipped it. And then I ironed from the back side. Just to make sure it was going to stick. Just a note, there are a lot of different fusible webs out there, so read the instructions on your particular type. Some say don't rub, instead raise and lower the iron up and down across the fabric until it is sealed. If this were going to be on something that would get a lot of use, I would zig zag around the outside of the B to help make sure it doesn't eventually peel off... but being that it is just a hanging decoration, I think ironing will suffice. There you go... a quick little project. 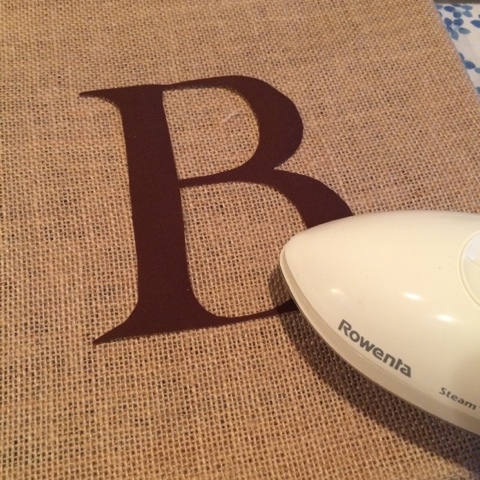 I really like it, now you can go mark something with your initial or monogram too! Have fun!